The BlackBerry Classic was previously only available in black, although Blackberry has now launched a white version of the handset in the UK. 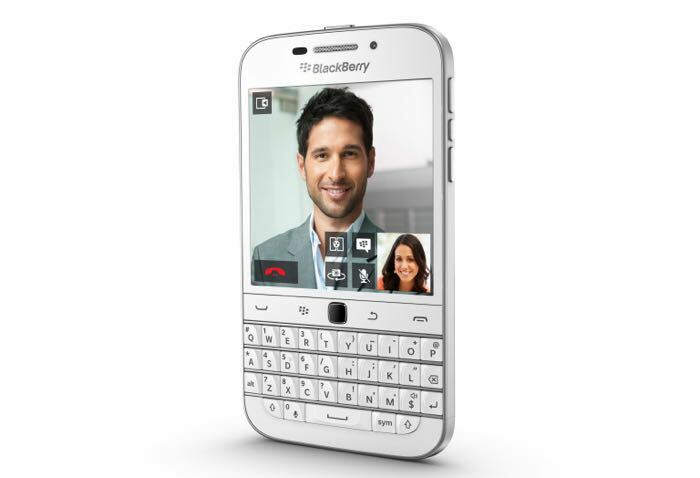 The white BlackBerry Classic is now available direct from BlackBerry in the UK and also other retailers like Amazon. The handset is powered by a dual core 1.2GHz processor and it features 2GB of RAM, for storage there is 16GB built in, plus a microSD card slot which offers support for 128GB cards. The BlackBerry Classic comes with a 3.5 inch display that has a resolution of 720 x 720 pixels, it also features a full QWERTY keyboard under the display. The device is equipped with front and rear facing cameras, on the front of the device there is a 2 megapixel camera for video chat and on the back there is an 8 megapixel camera, the device features the latest version of BlackBerry’s mobile OS, version 10.3.1. The white version of Classic is now available in the UK for £319 including taxes and you can find out more details over at BlackBerry at the link below.